General Henry Maitland “Jumbo” Wilson was appointed commander in chief of the Middle East and, under orders from Winston Churchill, mounted an expedition to occupy the small Greek islands of Kos, Leros, and Samos in September 1943 with the object of creating a diversion during the Italian Campaign. The expedition was a bad idea, and Wilson’s forces sustained heavy casualties, for which Wilson was widely blamed. A Bristol Beaufighter releases its bombs toward the further of two German flak vessels attacked by aircraft of No. 201 Group, south of the island of Kalymnos in the Dodecanese. Inadequate air support helped doom the British campaign in the Dodecanese. Imperial War Museum photo. 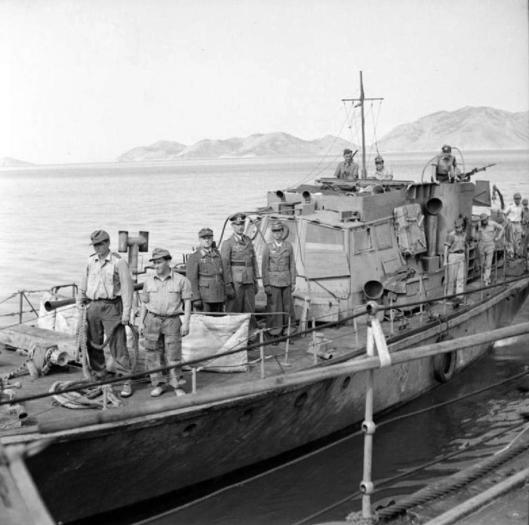 Maj. Gen. Wagner, commander of German forces in the Dodecanese, and two of his staff officers come alongside the destroyer HMS Kimberley on a motor launch which the Germans had captured from the British a few months previously. The Kimberley took Wagner to the island of Symi in the Aegean, where the unconditional surrender of German forces in the region was signed, May 18, 1945. The failure of the British Dodecanese campaign resulted in German control of the islands until the end of World War II. Imperial War Museum photo. The islands of the southern Aegean Sea off the southwest coast of Anatolia were known through much of their history as the eastern or southern Sporades (“scattered”). 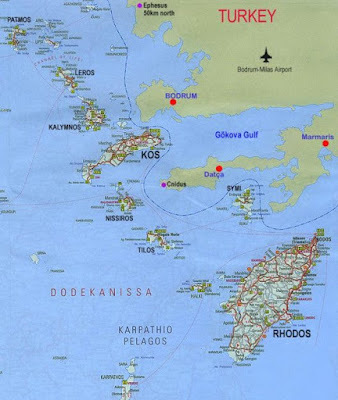 The islands include Rhodes, Karpathos, Kassos, Haliki, Kastellorizo (Castlerosso), Alimia, Tilos, Symi (Simi), Nissyros, Kos (Cos), Pserimos, Astypalea, Kalymnos, Telendhos, Leros, Lipsi, Patmos, Arki, and Agnthonissi. Early in the twentieth century, the Young Turks revoked the historic privileges enjoyed by the islanders, who were part of the Ottoman Empire. Twelve islands (dhodkeka nisia) joined in a failed protest against the loss of these privileges, and the name of Dodecanese stuck as a term for all these islands, even though they exceeded 12 in number. In 1912, as a consequence of the Italo-Turkish War, the Dodecanese Islands passed to Italian control. In 1941, the Germans joined their Italian allies in garrisoning the islands, which were inhabited chiefly by Greeks. The Italians had naval and air bases on Rhodes, the strategic key to the area. There was also an airfield on Kos, a seaplane base and naval batteries at Leros, and an air base on Scarpanto. When Italy surrendered on 8 September 1943, the Dodecanese were occupied by two poorly equipped Italian divisions totaling 37,000 men; Italian morale was very low. The Germans had one division of 7,000 men, which was well equipped with tanks and artillery. The local Greek population was excited at the prospect of liberation by the Allied powers. British Prime Minister Winston L. S. Churchill ordered that operations be conducted against the Dodecanese Islands. He believed that success there would open the way to the Dardanelles and the Balkans. He also sought to induce Turkey to join the war and to remove the stain of Britain’s defeat in World War I at Gallipoli. The original plan for an invasion of the Dodecanese, prepared by the Middle East Command, was known as Operation MANDIBLES, but it was subsequently renamed Operation ACCOLADE. Churchill appealed to President Franklin D. Roosevelt and to General Dwight D. Eisenhower for aid to liberate the Dodecanese. The Americans, who were preparing a landing on the Italian peninsula at Salerno, rebuffed him. Roosevelt also suspected that the British hoped to open a new front in the Balkans. Coincidentally, the Combined Chiefs of Staff meeting in Quebec ordered most of the landing ships in the Middle East to the Indian Ocean, which starved the operation of needed assets. 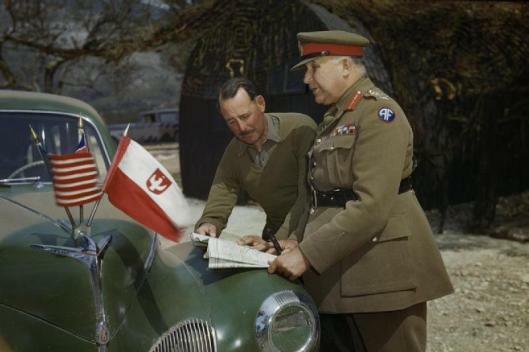 When Italy surrendered on 8 September 1943, three British operatives led by Major Lord George Jellicoe parachuted onto Rhodes. They contacted Italian authorities there and urged them to take the Germans prisoner. However, Admiral Inigo Campioni, commander of Italian forces in the Aegean, hesitated. The Germans, meanwhile, acted swiftly and soon subdued the Italians. The British nonetheless proceeded with some landings, and by October 1943—with a force of 5,000 men and a small flotilla—they secured several islands, among them Kos, Samos, Patmos, and Leros. They were not able, however, either to gain air superiority or take Rhodes, and as long as the Germans were secure at Rhodes, the British could not hold the Dodecanese. When Italy surrendered to the Western Allies on September 9, 1943, 7,500 Germans of the “Sturm-Division Rhodos” overwhelmed and disarmed the Italian Dodecanese garrison of 30,000 men. Winston Churchill, fixated as always on military activity in the Mediterranean, ordered in British and Greek commandos with an eye to forcing the Germans from the Dodecanese and from Crete. By mid-October some 4,000 British commandos were spread over eight small islands, though none landed on Rhodes. Elements of the German 22nd Infantry Division from Crete crossed to Kos (Operation IRON BAR) on October 3 to eliminate the only British airfield in the Dodecanese. They forced the isolated British garrison of under 1,400 men to surrender, took an additional 4,000 Italian prisoners, and summarily executed over 100 Italian officers. Churchill’s advisers recommended withdrawal from the Dodecanese, but the Prime Minister pressed ahead with the campaign, essentially reinforcing failure. In his defense, he hoped to provoke Turkey into the war against Germany. He also saw the island campaign as a preliminary to a larger and long-cherished Balkan campaign, a proposal repeatedly rejected by American military and political leaders. 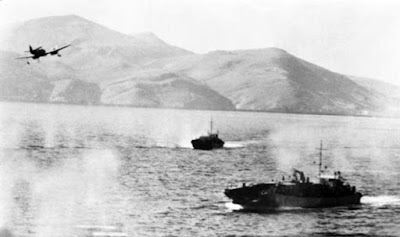 The Germans assaulted Leros (Operation LEOPARD) on November 12, overrunning the British garrison of 3,000 men and taking prisoner another 8,500 Italian soldiers and sailors. The campaign was over by November 22. Elements of the British and Greek navies took serious losses, mostly from Luftwaffe bombing but also strikes by new radio-controlled missiles used by the Germans for the first time. On 3 October 1943, the Germans went on the offensive, attacking Kos. Heavy bombing of the island by Stuka aircraft reduced the British defenses, and soon the British force there surrendered. Churchill refused to consider a withdrawal, instead ordering that Leros and Samos be held at all costs. Indeed, the British reinforced Leros. On 12 November, the Germans attacked Leros with overwhelming force, taking it four days later. The British troops remaining in the Dodecanese then withdrew. Among British units involved were the Long Range Desert Group, the Special Boat Squadron, the Raiding Forces’ Levant Schooner Flotilla, the King’s Own, the Royal Irish Fusiliers, and the Durham Light Infantry. The Greek navy provided 7 destroyers to assist the more numerous British vessels. In the offensive, the British lost 4 cruisers damaged and 2 submarines, 6 destroyers, and 10 small coastal vessels and minesweepers sunk. The Royal Air Force flew 3,746 sorties and lost 113 aircraft out of 288 involved. The British army lost in all about 4,800 men, while the Italians lost 5,350. German casualties totalled some 1,184 men, 35,000 tons of shipping (between late September and late November 1943), and 15 small landing craft and ferries. The operation failed as a consequence of Campioni’s hesitation, German aggressiveness, non-cooperation by the Americans, and the inadequacy of British resources. Holding the islands, however, stretched German resources, ultimately tying down some 60,000 Germans who might have been better employed elsewhere. After the war, the British governed the Dodecanese until 1947. The islands were then turned over to Greece. Suggested Reading: Jeffrey Holland, The Aegean Mission (1988).